Like Volvo did with the 200 and 700 series car, they decided to create a performance version of the 850. 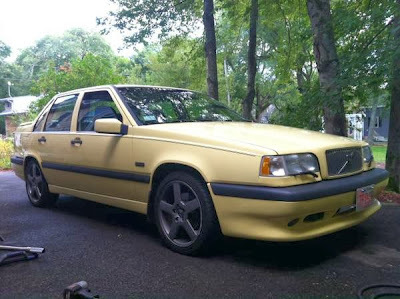 In the past Volvo would simply bolt a high(er) pressure turbo to the engine, tweak the suspension a bit and throw on some cool wheels and slightly different trim. With the T5-R, the went wild (by Volvo standards). This T5-R has been upgraded, but smartly upgraded. It would not be a chore to drive daily. 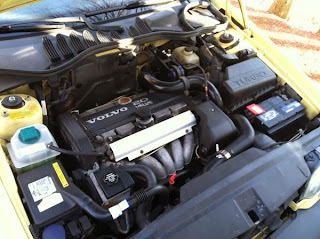 The seller claims to have used all OEM parts and parts from well respected Volvo aftermarket supplier, IPD. The seller says it leaks a bit of oil and the PCV valve needs replacing (common on an 850). 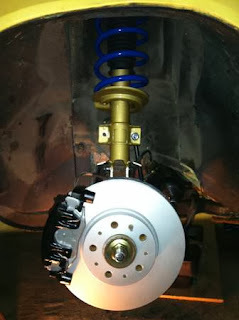 He is including the replacement parts with the car. The body is good, but not perfect, with some fading clear coat and a small rust spot. 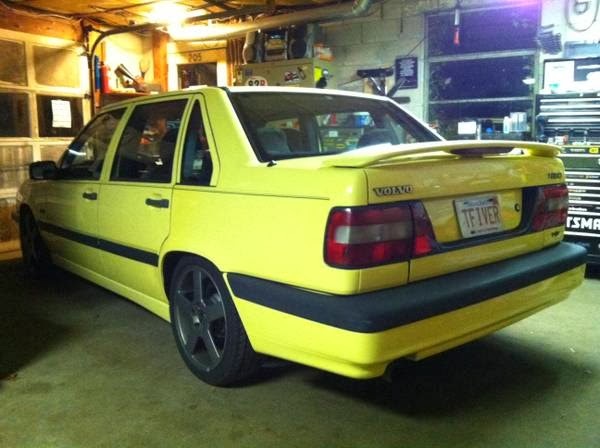 The seller is not giving this car away, but his price isn't outrageous, given the work done to it. 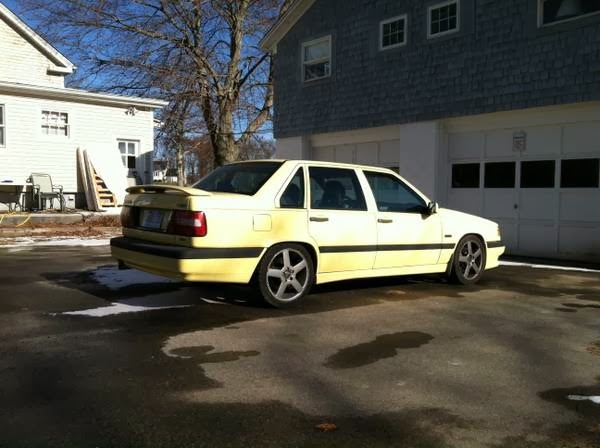 Located in Wrentham, MA, click here to see the Craigslist ad. The license plate says "TFIVER." I've seen this car before, one time at Swedish Car Day, and the other at a Volvo event in New Jersey. Both events were last years. Believe me this car is clean. 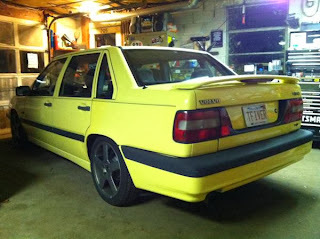 I want a wagon version in yellow! I had no idea the T5-R existed, but that looks like a lot of car for the money.